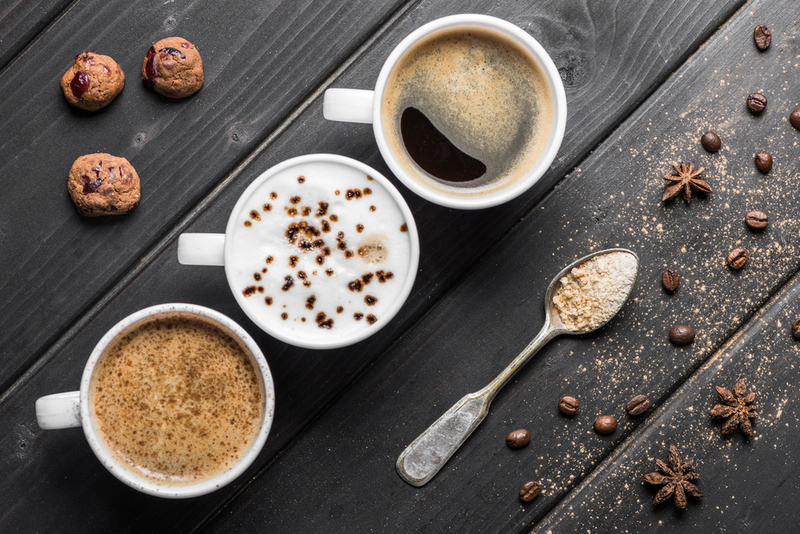 Higher coffee intake lowered the risk of death in several different races (Blacks, Japanese Americans, Latinos and Whites). More than three cups of coffee a day reduced participant’s risk of death – especially digestive circulatory diseases. Drinking coffee reduced a participant's risk of dying from seven of the ten leading causes of death in the U.S. (heart disease, stroke, diabetes, kidney disease, cancer and respiratory illness). Hours: Monday through Friday from 6:30 a.m. to 12:30 p.m. and Saturday and Sunday from 8 a.m. to 2 p.m. Hours: Monday through Friday from 6:30 a.m. to 12 a.m. and Saturday and Sunday from 7:30 a.m. to 12 a.m. Hours: Monday through Friday from 6 a.m. to 12 a.m., Saturday from 8 a.m. to 10 p.m. and Sunday from 8 a.m. to 8 p.m. Hours: Monday through Friday from 6:30 a.m. to 10 p.m., Saturday from 7:30 a.m. to 10 p.m. and Sunday from 7:30 a.m. to 9 p.m. Hours: Monday through Sunday from 7 a.m. to 6 p.m. Hours: Monday through Friday from 7 a.m. to 6 p.m., Saturday from 8 a.m. to 6 p.m. and Sunday from 8 a.m. to 2 p.m. Hours: Sunday through Wednesday from 7 a.m. to 5 p.m. and Thursday through Saturday from 7 a.m. to 7 p.m. Hours: Monday through Thursday from 7 a.m. to 11 p.m., Friday and Saturday from 7 a.m. to 12 p.m. and Sunday from 8 a.m. to 10 p.m. Hours: Monday through Friday from 6:30 a.m. to 7 p.m., Saturday from 7 a.m. to 6 p.m. and Sunday from 8 a.m. to 5 p.m. Enjoy exploring South Austin’s local coffee shops! Do you have any real estate related questions? At Resident Realty Austin, our mission is to get you more for your move! Contact us to learn more today!